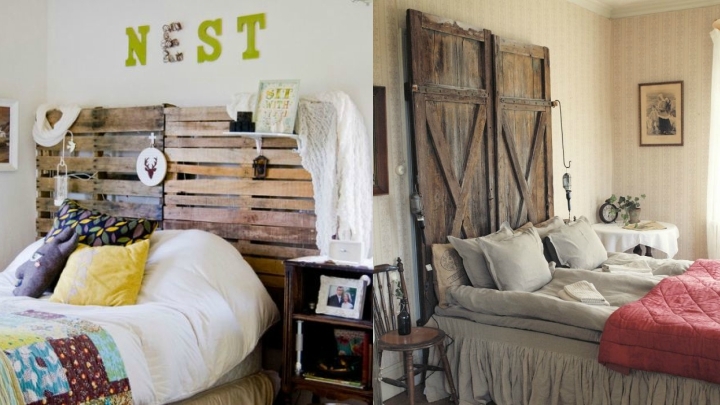 Do you feel like giving an original and different touch to your bedroom? Then the decorating ideas that we are going to see today will interest you. It may be enough to introduce small details that give a completely different air to the room. Also, it is not necessary to spend a lot of money on it, in fact, sometimes, the most economical can become something very interesting to give a greater personality to the environment, because it is usually things done by yourself that give you that differentiating touch. Let’s see how you can get it. Too easy! You just have to tap into creativity. The stairs can help you to decorate in an original way and, in addition, quite practical. 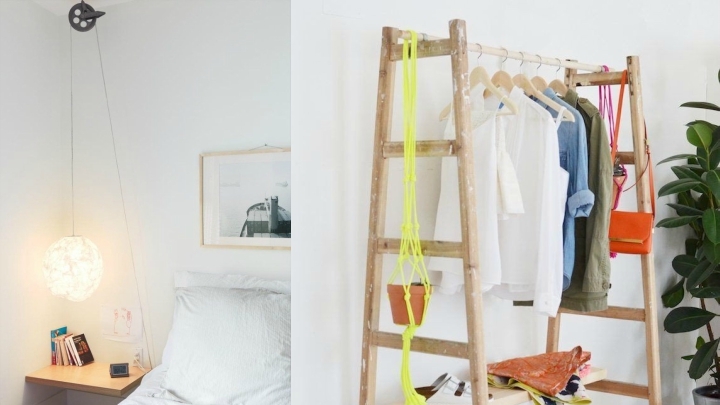 You can design a chulsimo hanger with shelves with an open wooden staircase. Place a bar at the top, from where you can hang some hangers with your clothes, and put several shelves held between the steps to leave your shoes and other utensils. Functional and decorative at the same time. The bedside tables can play a lot. It is one of the elements that can help you to give that different touch to your bedroom. 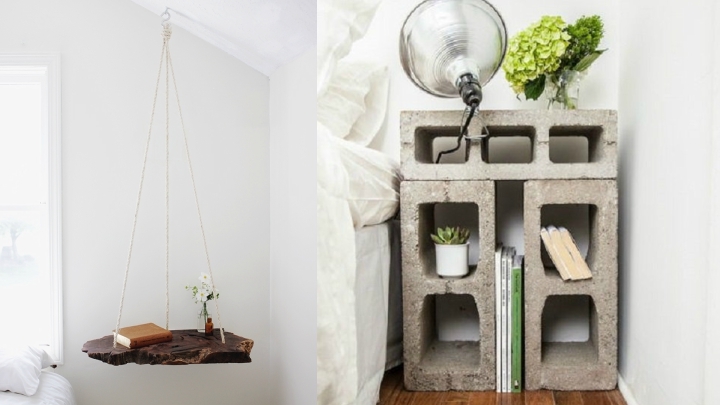 You can put a few concrete bricks to create an original industrial-style bedside table, a wooden pickled chair to give it a vintage touch, old suitcases, a safe or a hanging shelf like the one in the photo. There are plenty of options! Using the bricks we discussed earlier, we can create a structure that will serve as a base for your bed. In addition, you can use the holes to save and tidy your shoes. It will look great if you fancy an industrial bedroom, for example. You’ll see later in the gallery, but another idea that I liked a lot is to take advantage of that typical piece of wall that is left unused to create an original shoemaker. You only have to place some diagonal shelves to leave your shoes on. You can take them to the roof to get the most out of the whole surface vertically. If with the tables we can play at the time of making a different decoration, the same happens with the headboards. You have, once again, several possibilities. If you like reading make a headboard made up of books. If you prefer the sport, you can put some surfboards or skis, for example. Try vinyls, they are the most fun. For a rustic or vintage decoration, you will find great wooden pallets, or wooden boards placed horizontally or vertically. The barn doors are also a chulada. A very original idea is the one you could see in the photo that heads this article. It is about creating an original lamp for the bedside table through a pulley. At the end you can put a tulip or you can leave the bulb in the air, which also looks great.